Christmas gift guide for the vintage gal! I feel like the vintage scene is growing to more and more people, whether someone likes to dress up in full pin up, petticoats and all or likes to add more of a hint of vintage to their style. So here are a few things that I have spotted over the last couple of years to help inspire you for gift giving this year! 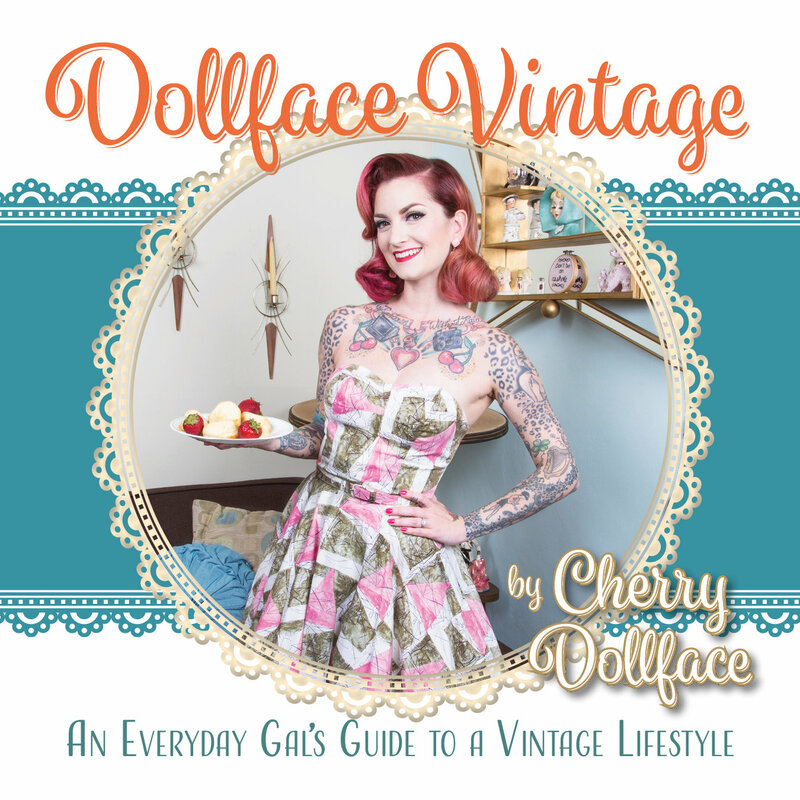 I have seen this book almost everywhere since starting my own vintage journey! This book has been described as ‘The Bible’ of Vintage Hairstyles and covers almost everything, from pin curls to finger waves and covers style from the 1930’s to the 1960’s, so a very versatile book! Similarly, check out the Retro Makeup Book, also by Lauren Rennells! This is something I have had some interest in when I was learning to pin curl and especially when I was having difficulties with my victory rolls! It is based on an actual styling tool used in the mid century era. Although I managed to learn by myself, this tool does appear to be an easy way to achieve authentic pin curls and I think this would benefit anyone who is starting out, I still think I could benefit when I have my bad hair days! The set comes with a booklet written by Lauren Rennells (she seems to do a lot of this stuff!) which explains the forms and uses of pin curls and styling them, as well as a framable poster with 80+ sketches of vintage hairstyles. This set can be found in the gift section of www.thehouseoffoxy.com, as well as a variety of other gift ideas! I haven’t specified a type of jewellery because there are so many options to choose from and is of course based on the persons individual style, but from pearl earrings and necklaces, to feature pieces, there is a lot of beautiful vintage style jewellery to be found! One brand in particular I have seen is Splendette – based here in the UK, they create vintage inspired jewellery including brooches, earrings and necklaces, but in particular their bangles interest me the most! Miss Victory Violet, another of my favourite models, has a deep love of Splendette bangles and I can certainly see why! From bold colours to glitters, Splendette seems to do it all! 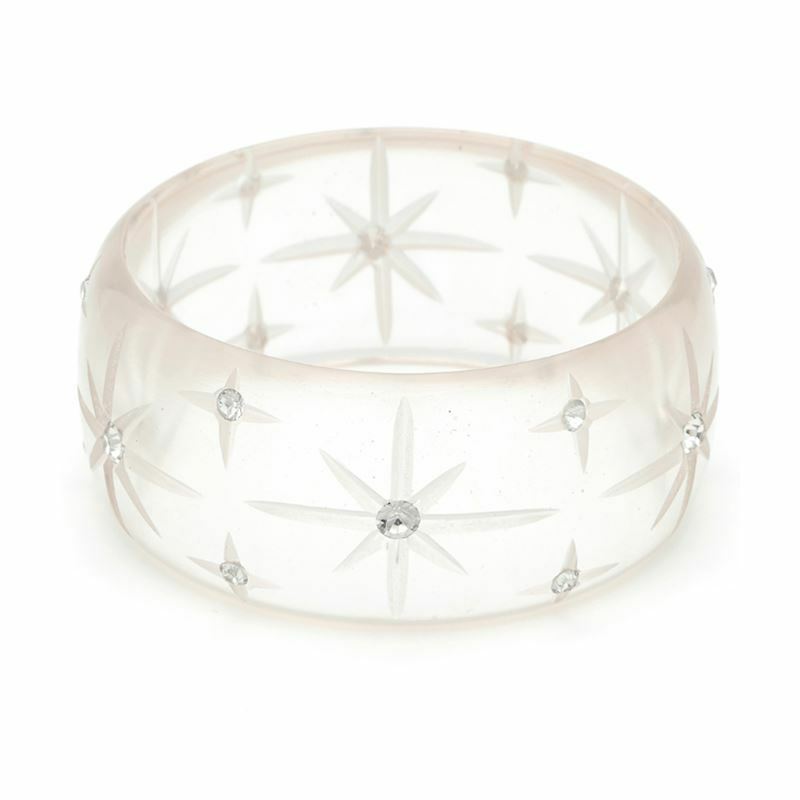 But, if you have teeny-tiny wrists like me and rarely wear bracelets, they also do smaller sized bangles called ‘Maiden Bangles’ with a diameter of 5.8cm! All their items are reasonably priced too, so I urge you to check them out! Although I haven’t any myself, I am certainly treating myself in the future! I also recommend having a look at the vintage reproduction websites for ideas, such as www.collectif.co.uk – they are my all time favourite retro company and have a great selection of bags, hats, jewellery, sunglasses and other lovely gifting ideas and when in doubt, get a gift voucher! If you are in the Suffolk area (UK), pop into Pocket Watch and Petticoats – my favourite local vintage style shop! Situated in Bury St Edmunds and Ipswich, they have a great variety of clothes and accessories and they also sell gift vouchers! The staff in both shops are so helpful, friendly and enthusiastic, I highly recommend you visit! I hope these ideas were helpful to you! What sort of retro items do you want for Christmas? Hopefully more festive themed posts on the way for the month of December! Next My Go-To Vintage Make Up Routine!